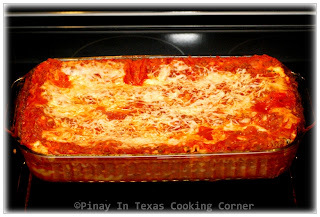 When I was growing up, Lasagna wasn't popular yet in the Philippines (or maybe just in our province). It was only in college when I first tried it, and I have loved it since then. I love it so much that it didn't take long before I started making it myself even though all I had in the boarding house was an oven toaster. 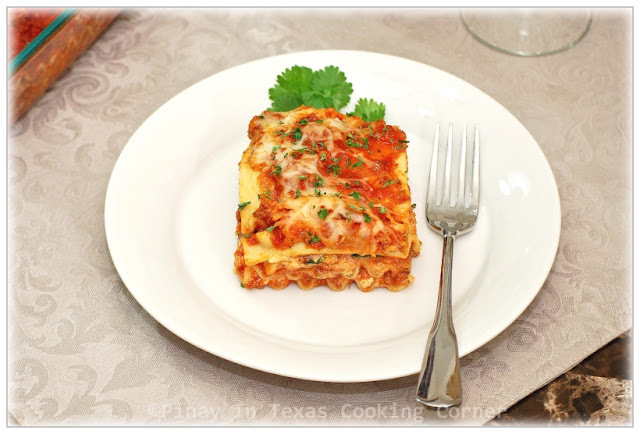 I guess it's the layers of goodness in lasagna that makes me so into it! 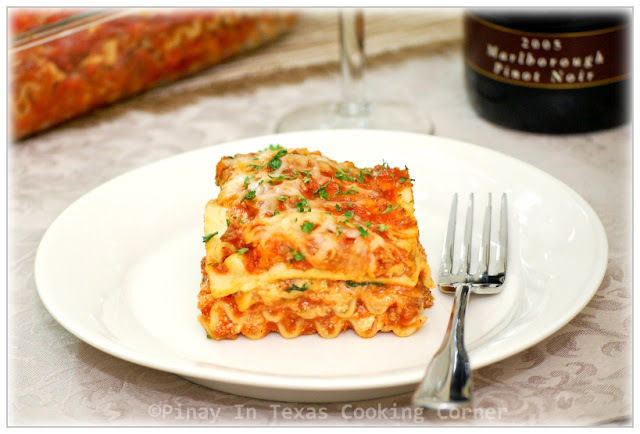 Since then until now, lasagna has been one of my favorite pasta dishes. Thu hubs as well as Clarise and Cherlin love it too, so I often make it. I have long been wanting to post my Beef and Spinach Lasagna recipe, but I always don't get the chance to take pictures of it. My lasagna doesn't last long and before I could take a photo, it's all gone! But last week, I was lucky enough to do it! I was able to cook earlier than usual so I had time to take pictures just before dinner time. 1. Blanch spinach for 30 seconds in a pot of boiling water. Remove the spinach from the pot with a slotted spoon. Rinse under cold running water to stop the cooking. Drain well, squeezing and using paper towels to get out as much moisture as possible. Chop and set aside. 2. In a large saucepan over medium heat, cook beef in ¼ cup water until water has evaporated. Drain any oil from beef. Push beef into one side of the pan. Add olive oil and saute garlic until light brown. Add onion. Mix with beef and garlic and saute until onion becomes translucent. 3. Stir in the spaghetti sauce, tomato sauce, basil and oregano. Season with salt and pepper. Bring to a boil. Reduce heat to low, cover and simmer for 15 minutes. 4. Meanwhile, cook the lasagna noodles al dente according to package directions. Drain well then lay out on waxed paper to prevent from sticking. 5. 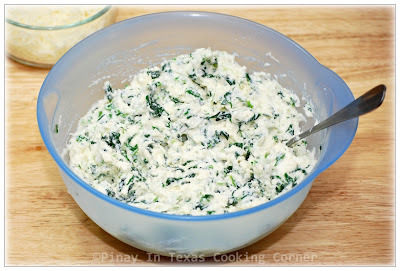 In a large bowl, mix the spinach, egg, milk, ricotta, Parmesan and 1 cup mozzarella cheese until well combined. 6. Preheat oven to 375°F. Spread ¼ of the meat sauce into a greased 13"x9"x2" baking dish. Top with three noodles. Spread another quarter of the sauce on top of the noodles. Top with 1/3 of the spinach and cheese mixture. Repeat layers. Top with remaining noodles, sauce and remaining mozzarella cheese. 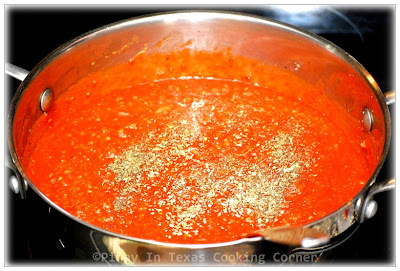 Spread about 1 cup of the meat sauce on the bottom of a greased 13"x9"x2" baking dish. 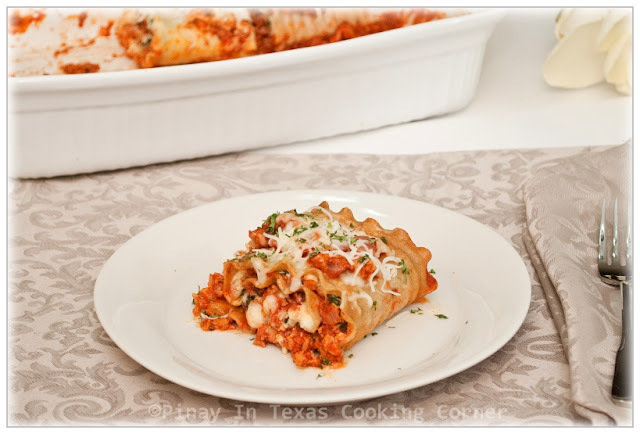 Using a spatula, spread about 1/3 cup of the spinach and cheese mixture over each lasagna sheet and then top with about 1/3 cup of meat sauce, leaving about ½" of each end uncovered. Roll up each sheet tightly and place it seam-side-down in the baking dish. Pour the remaining meat sauce over the lasagna rolls and sprinkle with remaining mozarella cheese. 7. Cover with foil and bake at 375°F for 30 minutes. Uncover; bake 10-15 minutes longer or until bubbly. Let stand for 10 minutes before serving. ...Barbara of Spanish4Kiddos! Congratulations Barbara...and thanks to everyone who joined! I really appreciate it! Nice Recipe, Tina! I love how you made them into individual servings ~ totally brilliant! I love lasagna too. :-D Congrats to Barbara! Incorporating spinach into this dish is a good thing, too many times I have seen it loaded up with way to much meat and sausage! 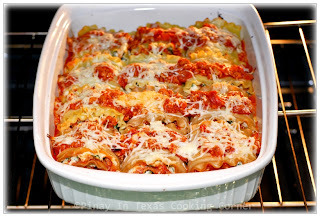 This looks like a lighter version but it does not miss any of the delicious flavors that you would expect in the dish. I like the roll up method too. Great post! Congratulations on winning PiTCC's 1st Anniversary giveaway, Barbara! That looks delicious! I haven't made lasagna for ages, and when I do make it, I always make two pans - one to have for dinner and the second to go into the freezer for later - because it's so much work! YUM. So yummy, Tina! It's almost like my recipe, but I use Italian sausage instead of ground beef. 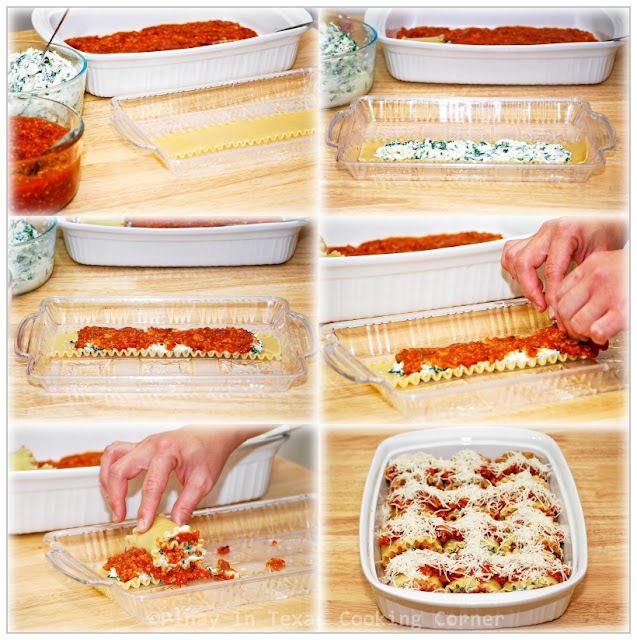 I like your precise step-by-step instructions with picture to cook these yummy lasagna. I'm learning a lot from you and would love to follow your blog for more. OMG this looks incredible. It can be so hard to take good pics of lasagna. You nailed it. Maybe for me, I could substitute the beef with some delicious spicy ricotta and tofu - yum! I have to agree with you on the layering which gives this dish a wonderful taste. I am surprise to see spinach added inside but hei, no complaints over that because greens into cooking makes a healthy dish. Congrats to Barbara on getting the giveaway. When I make lasagna I always say that that would be the last time I make them because of the fuss in the kitchen. And then when I taste them I completely forget everything I said before. These lasagna remind me of how much time has passed since the last time I cooked them. They look delicious Tina! Congratulations on the winner! Oh this recipe looks so good! I love the roll-ups option too :) Congrats to Barbara!!! Fantastic step by step! Looks delicious! Wow, That looks so pretty with step by step pictures. 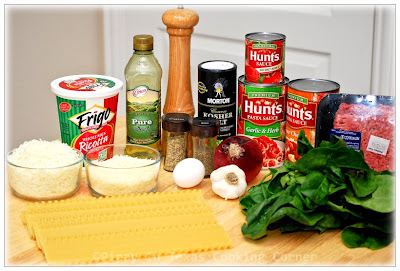 Glad I saw this lasagna on Anne's blog. Hi Balvinder! Welcome to PiTCC!